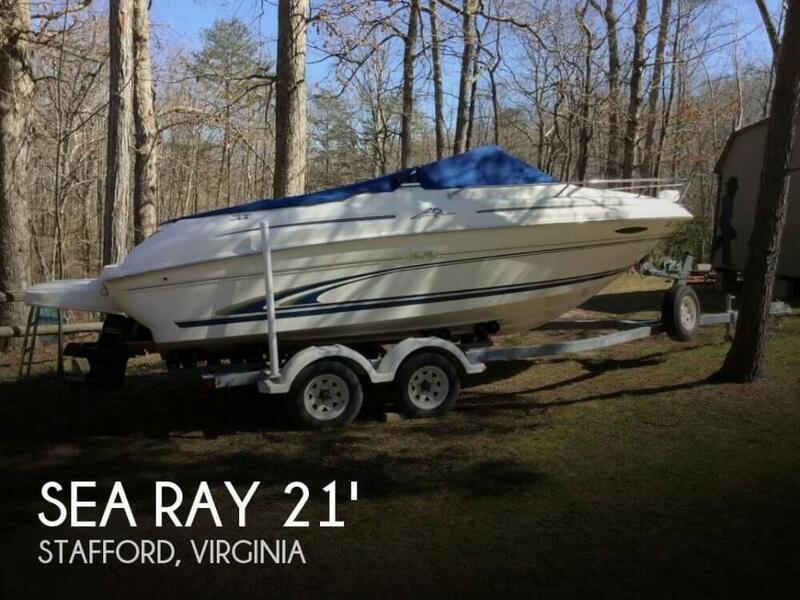 This boat is in good condition all-around. 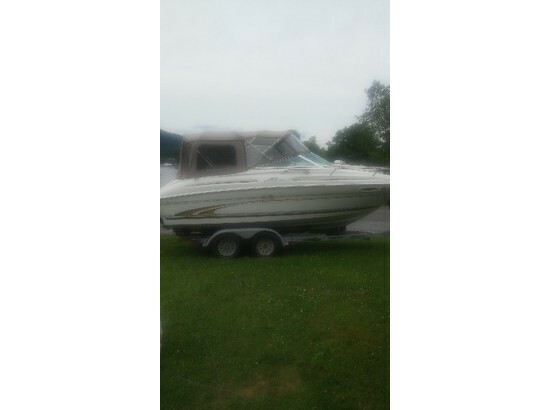 The seller states the boat was lightly used and freshwater only. The cabin interior is clean and the upholstery is tear-free - as is the cockpit upholstery. An engine box with seats was constructed/recovered at some point. 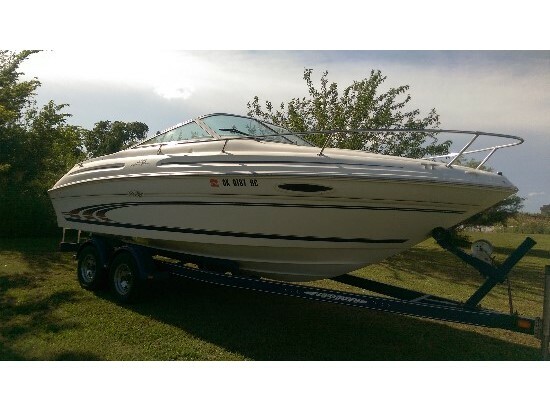 Stock #173814 Very good condition, fun for all water sports, bimini top, well maintained! 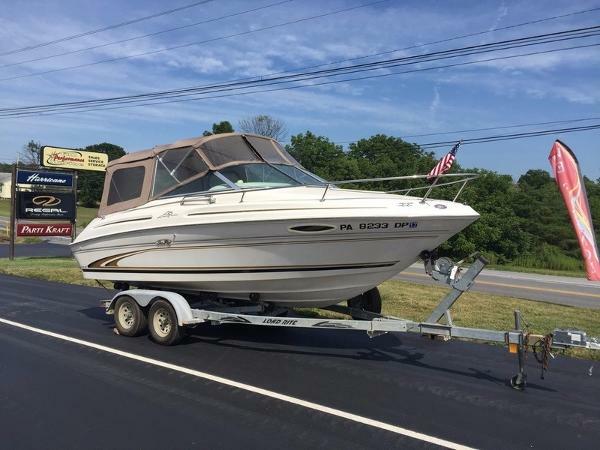 If you are in the market for an express cruiser, look no further than this 1996 Sea Ray 215 Express Cruiser, priced right at $15,000 (offers encouraged). 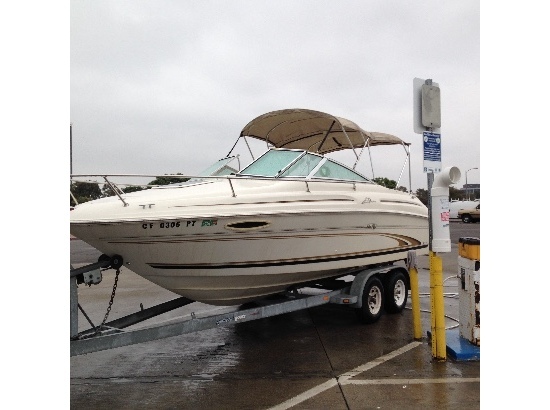 This boat is located in Stockton, California and is in good condition. 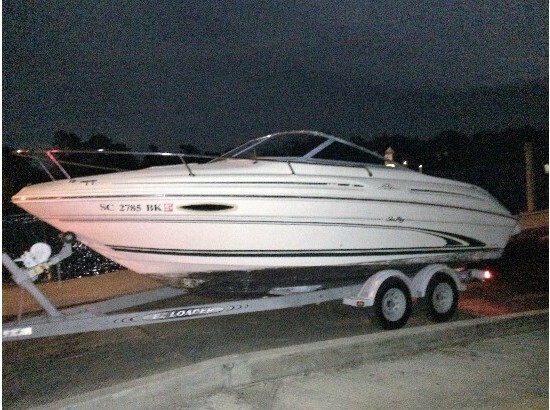 She is also equipped with a Mercruiser engine that has only 296 hours. Reason for selling is no time to use anymore. 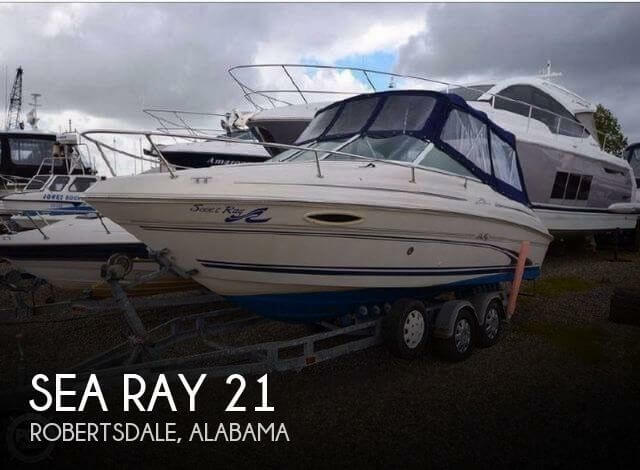 1998 Sea Ray 215 Express Cruiser This '98 Sea Ray 215 Express Cruiser is a great boat for the family or hanging out with friends on the lake for the weekend. There is ample seating & storage throughout. In the cabin the V-berth provides a place to relax, eat, play some cards or lower the dining table to sleep 2. It comes with a pump-out head with privacy curtain. 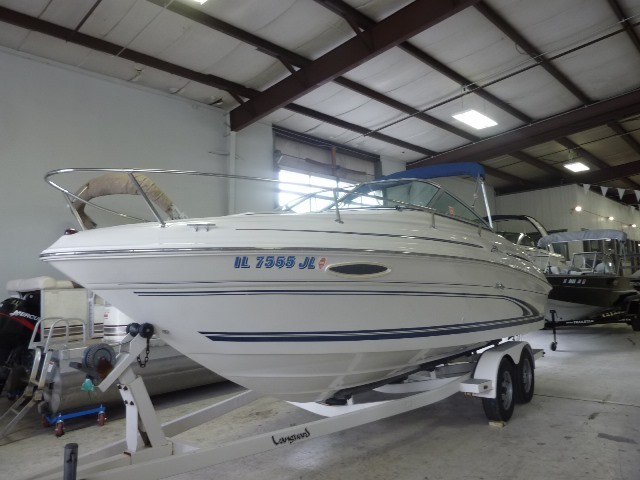 The molded steps on the cabin door & pass thru window make getting up on the bow effortless. 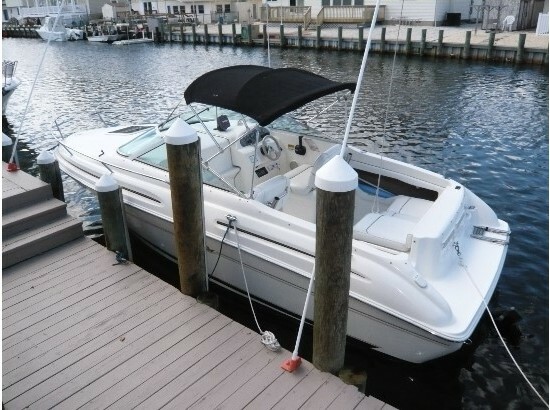 The integrated swim platform with swim ladder & transom door allow you to get in & out of the water with ease. There is a built in ski tow for skiing & tubbing. 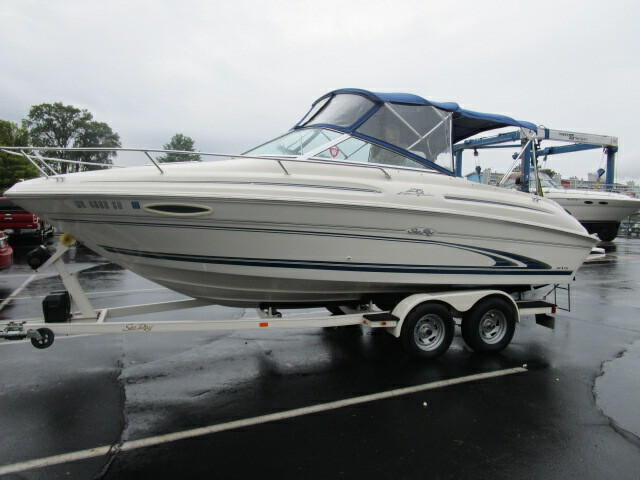 2000 Sea Ray 215 Express Cruiser, MerCruiser 5.7L V-8 Alpha 1 Outdrive 260HP with 407 hours. 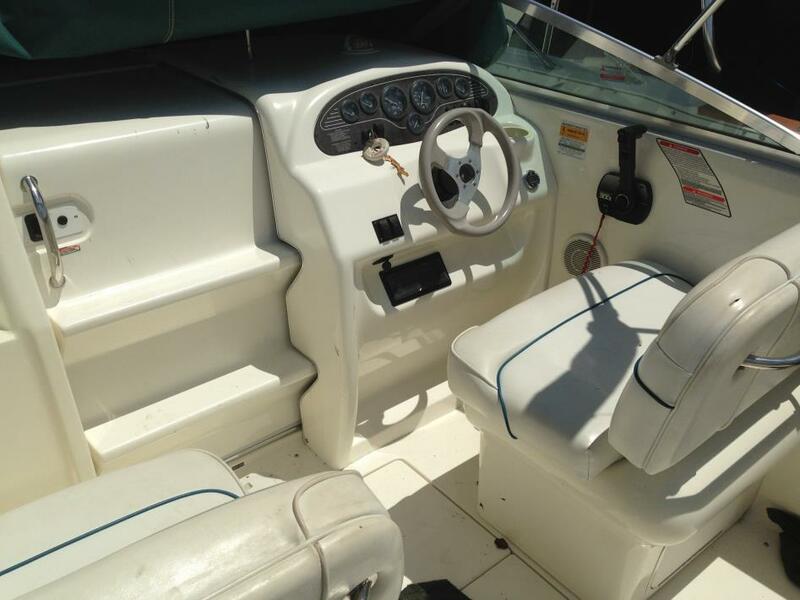 Depth sounder, GPS, Vhf radio, Horn, Stereo. Cold water pressure, Anchor. 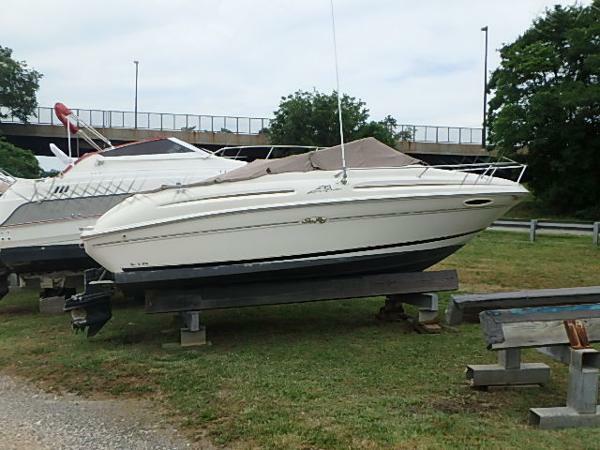 Boat & Engine manuals, Spare props, Swim platform. Bimini top, Side & Aft curtains, Camper top, Cockpit cover, Windshield cover. Co system, Engine alarm, 110V power cord. Transom lights, Cockpit lights, Cabin lights, Mahogany Trim interior.NEW UPGRADES within the last 2 years: Steering cable assm, Drive boot, Shift cable boots, Fresh water pump, Serpentine belt, Idler pulley, Swim platform, Humminbird Plotter/Charter/GPS, Camper canvas with isinglass, Cockpit carpet, Transom lighting 2-600W LED, Cabin and Cockpit accent lights, Pioneer Stereo with IPod compatible, Galley cabinets, counter top, Insulated Ice cooler with drain, Galley light, V-birth accents, Upholstery, Natural Wood trim, Cabin speakers, Cabin lights, Blackout mirror with Sea Ray logo, Flatscreen TV with DVD and remote, Head curtain, Mirror in head, V.H.F Radio, Dash gauges, Prop with spare. Trailer - 4 wheel disc brakes - new surge brake assm, New tires (4 - 2014), New power winch 7000 cap with battery and remote. 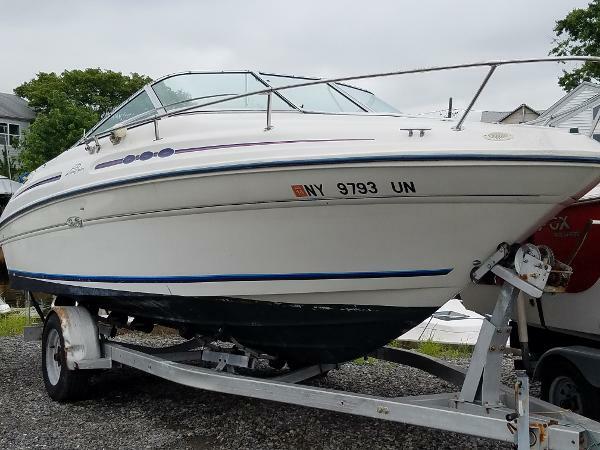 1999 Sea Ray 215 Express Cruiser 1999 Sea Ray 215 Express Cruiser 1999 SeaRay 215 Express Cruiser w/Mercruiser 5.0L V8 Alpha 1. Stainless Steel Prop. Full Canvas Enclosure. Only used in Fresh Water. Galvanized Roller Trailer. VHF Radio. Garmin Fish/Depth Finder. Full Cover. Porti Potti. Cabin Sink. LOADED!